Its summer time. School boys are relative free, enjoying long summer vacation. Its also ideal time to travel, mix with people all around, gain experience both on sports fields and social front. In keeping with its policy of providing these opportunities to our under-privileged kids, One Thousand Hockey Legs organized two trip in May-June. First one for those boys who attend summer camp in Yamuna Sports Complex, majority of them from Govt Boys Senior Secondary School, Ghittorni. 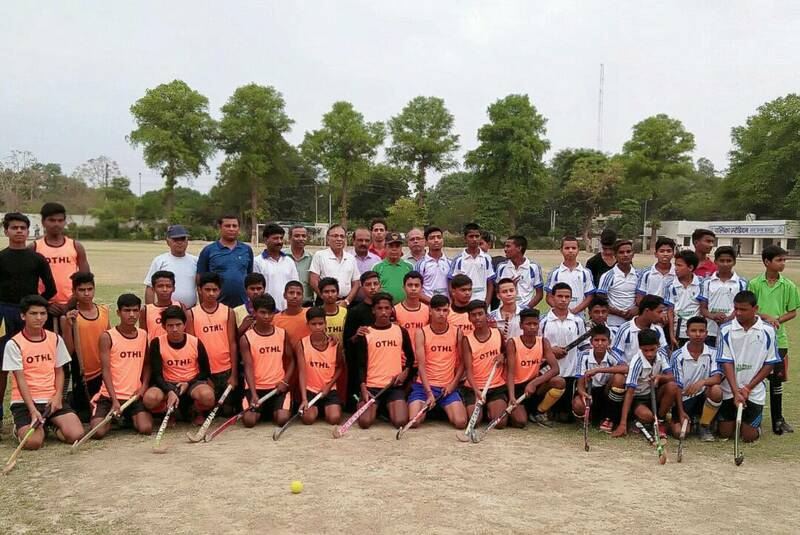 A 20-member team led by Rupender Singh of GBSSS went to Kanpur on the invitation of Kanpur Hockey Academy. Kanpur is industrial capital of sprawling state of Uttar Pradesh, but has poor cotemporary hockey scene. OTHL runs many schools here. However, KHA is the brainchild of Paul Devendra, a State level hockey player, now employed with a defence organization there. The idea was to create opportunity for his kids to interact with visiting team. Three matches, each in the evening of each day, were planned. The team stayed at Kanpur Sports Complex, where famous greenpark cricket stadium is located. Ananthapur is a big town, about 2300 kms south of Delhi. A devoted NGO, called Rural Development Trust, is functioning there since about a decade, putting genuine efforts to uplift rural boys and girls through the medium of sports. They invited One Thousand Hockey Legs team for their first tournament in their campus. It was named Fr. Ferrer Memorial First All India Hockey Academy Championship 2017 for Boys (Under-21). 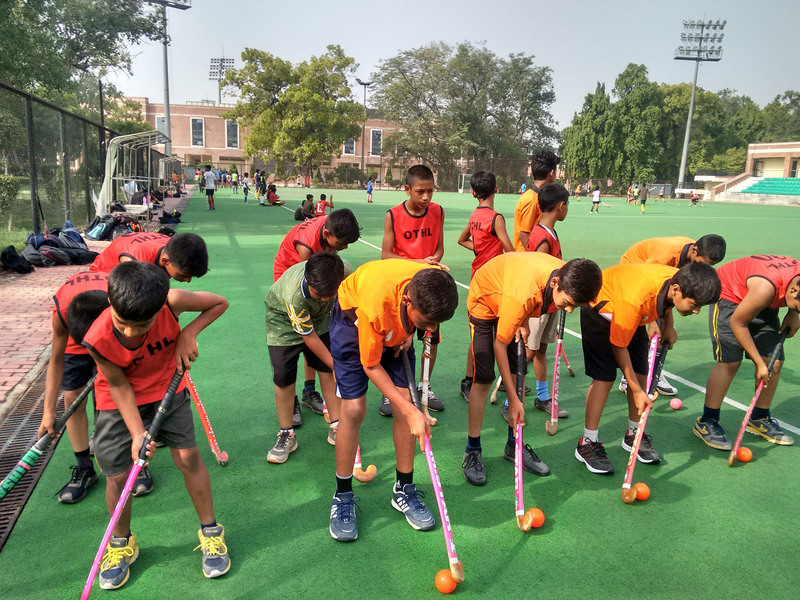 OTHL gladly accepted the bretheren unit to send its Under-18 team, as it doesnt have any higher age group teams. The tournament started on 29th June and ended on 3rd June. Our team was led by Parvez Alam, who just completed 12th standard exam from Anglo Arabic Sr Sec School, Ajmeri Gate, New Delhi. Vice captain was Brajgopal Patra, doing his first year graduation. Deepanshu and Roshan were the goalies while Baljeet Singh, Shlok Tiwari, Rohit Gharai, Rohit Thakur were the defenders. Rohit of DTEA, Abhishek Rana, Ram Singh, Sumit Sharma, Pankaj, Ritik Singh, Chandra Bhusan, Farman Ansari formed the team. The team also had two Guest Players in Sahil and Vasu. Gurmeet Singh, who trained our team for the bengaluru Sub-Jr National Championship recently, gladly travelled with the team as coach. At Kanpur, good display from Aniket, Abdul Qadir and Abdul Salaam helped the visiting team draw the first match 1-1 on 27th June. Next day, the host team took revenge in a good measure, 3-1. The third and last match, played amidst a sizeable crowd, was lost narrowly 0-1 by the Rupender led visiting team. The players were given warm welcome, good hospitality and send off by the dedicated team led by Paul Devendra of Kanpur Hockey Academy. He is trying to improve hockey at schools. On the other hand at Ananthapur, our team had to wait two days to play their first game, as one of the two team in the 3-team pool did not turn up. 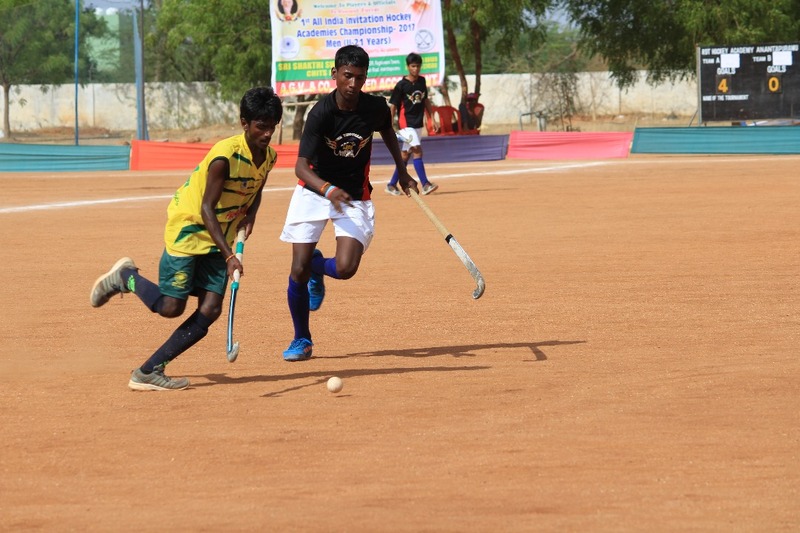 OTHL played only match against an Academy team from Trichy, Tamil Nadu and won by 6-0, and thus entered the semifinal.